With their candidate Luiz Inácio Lula da Silva imprisoned and serving a 12-year sentence for corruption, you would expect support for his Workers’ Party to be dwindling. However, in the Northeast region, the party remains far ahead in the polls for the October 7 elections. 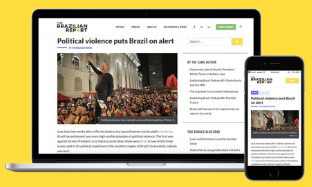 Recent opinion polls show that the former president has the backing of 59 percent of northeastern Brazilians – a significant achievement in a race that includes 12 other candidates. Until his first electoral win, Lula and the Workers’ Party were more popular among liberal middle-class, better-educated voters. That shifted after his first term, and the Northeast has become a stronghold of the Workers’ Party. Since his 2006 re-election bid, the region has consistently seen high voter turnout for the left. After Lula’s tenure, his appointed successor Dilma Rousseff also secured a majority in every northeastern state in both the 2010 and 2014 presidential elections. Despite making up over a quarter of Brazil’s population and being a former center of power, the Northeast has spent decades in economic obscurity. Following the decline of the sugar industry and the emergence of the Southeast as an economic powerhouse, the region has fallen behind, creating serious socioeconomic consequences, particularly for those living in rural areas. In previous years, food shortages and the harsh conditions of the arid sertão (hinterlands) forced thousands of families to migrate, with many moving to peripheral areas of southern and especially southeastern cities, taking up jobs as housekeepers and security guards. Still today, infrastructural inequalities between cities in the South and Northeast are patent. For many people in the Northeast, Lula has restored a sense of pride in their region. During a recent music festival in the countryside town of Garanhuns (the former president’s place of birth) chants of “Free Lula” rang out among the many thousands in attendance. The former president’s popularity is aided by the fact that “Lula is from here,” as a university student from Maceio told me. Born into poverty in rural Pernambuco and, unlike many of Brazil’s political figures, holding no familial connections to politics, Lula’s route to Brazil’s highest office came via trade unionism. He is seen in the Northeast as an outsider that infiltrated the establishment and challenged stereotypes. Until today, people from the region are often depicted comically, with caricatured accents, on Brazil’s telenovelas. But “Lulism” in the Northeast is not solely the result of a charismatic figurehead. Following Lula’s victory in 2002, his administration invested billions in the region. Some critics accuse the party of using northeastern states as voting fodder, others argue that he was trying to right a century-old wrong that has allowed the region to fall behind others. Since 2003, the Workers’ Party bolstered investment in healthcare, education, infrastructure, and significantly reduced extreme poverty. Programmes such as ‘Luz Para Todos’ (‘Light for All’) brought electricity to rural homes benefitting more than 7 million people. Seven new federal universities were created in the rural Northeast, and between 2003 and 2013 the region grew at an annual pace of 4.1 percent (more than the national average). 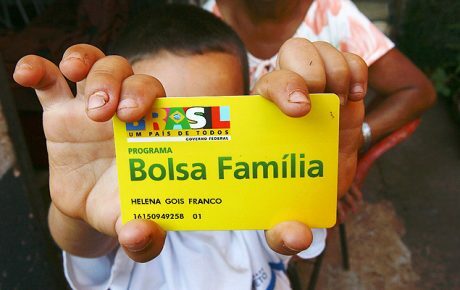 In his recent book The Brazilian Presidential Elections, political scientist Alberto Carlos Almeida argues that Bolsa Família has been extremely successful for the Workers’ Party in courting votes from poor Brazilians – and no region is poorer than the Northeast. “Lula is so strong there because these voters associate him with a time of prosperity – something they do not enjoy anymore,” says political scientist and The Brazilian Report political columnist Claudio Couto. 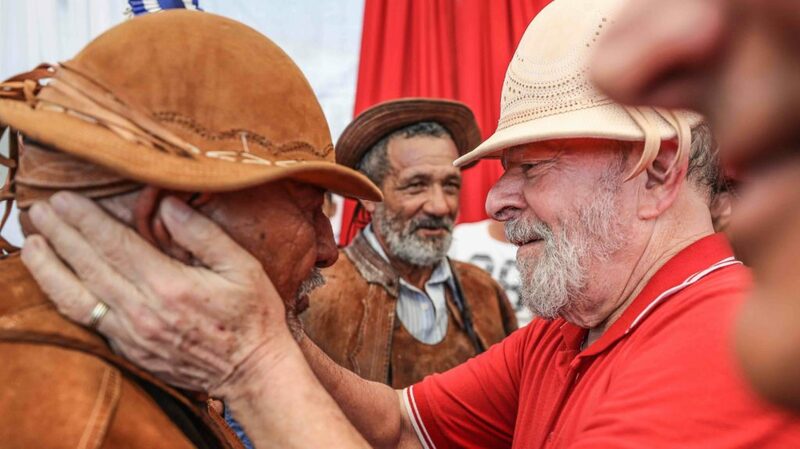 Mr. Alves believes that northeastern partisanship for the Workers’ Party will be tested should Lula be banned from competing in October – which will happen barring the legal equivalent of a miracle. Brazil’s Superior Electoral court is yet to veto the former president’s candidacy (and the UN Human Rights Committee recently ruled that he should be allowed to run). If (or when) Lula is barred, the former mayor of São Paulo Fernando Haddad is expected to take his place – but he remains unknown to most of the party’s voter base. The strategy of the party will be to rely on Lula. 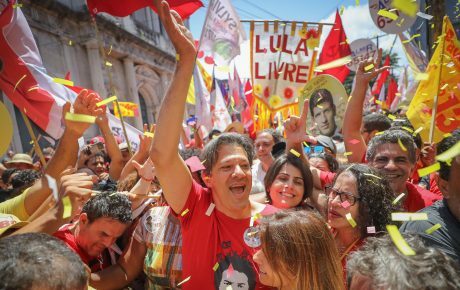 Mr. Haddad will be less himself and more “Lula’s guy” – that’s his roadmap to the presidency. Hoping to ride the wave of anti-establishment sentiment is the self-proclaimed ‘outsider’, far-right candidate Jair Bolsonaro. 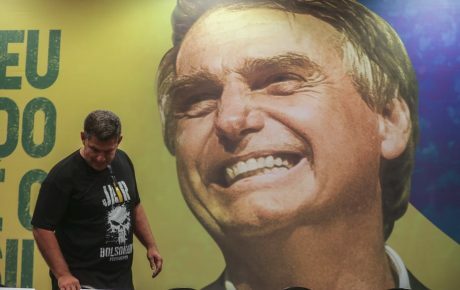 However, despite recently being mobbed at a Fortaleza airport by a large crowd of supporters, it is unlikely that Bolsonaro, or any other politician, will challenge the Workers’ Party’s political machine and the legacy of “Lulism” in the Northeast. Kaspar Loftin is a freelance journalist based in northeastern Brazil. He studied at Manchester University and SOAS. 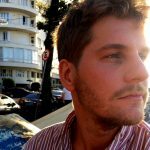 He has contributed to various international publications on a range of subjects that include politics, football, culture, and travel.